They were received on arrival at Robertson House, by the Deputy Chief of Staff, Major Surya Rai on behalf of the Colonel Brigade of Gurkhas. 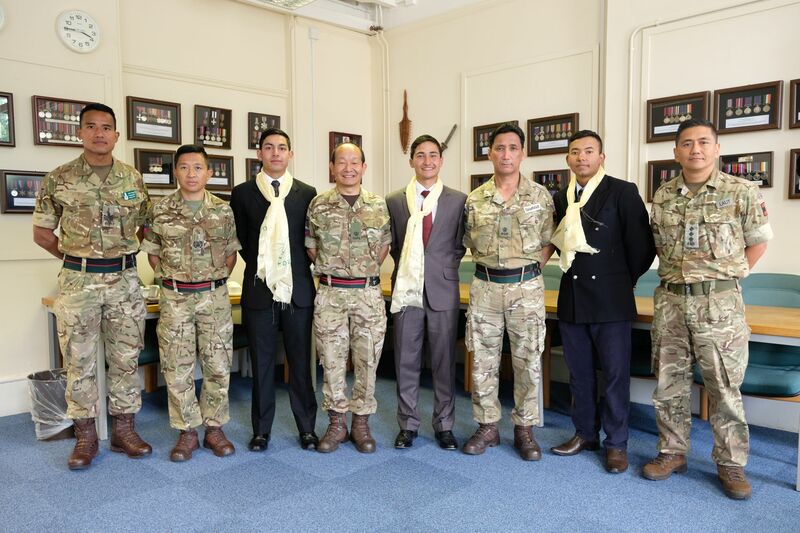 Following an introduction to the HQ’s staff and a brief orientation of the building, they were taken to the conference room for a comprehensive brief on the Brigade of Gurkhas. The officer cadets were accompanied throughout the visit by Colour Sergeant Phurba Tamang from 2 Royal Gurkha Rifles, who is currently assigned to the Academy as an instructor delivering daily training to over 100 Officer Cadets from the British Army and overseas. The visitors left Robertson House at 1815 hours, having thoroughly enjoyed their time at the HQ and very much more knowledgeable on the Brigade of Gurkhas.